The 2013 Nobel Prize in Physiology or Medicine was announced yesterday . The prize was awarded to three U.S. scientists for their work on how the cell coordinates its transport system to shuttle proteins and other molecules from one location to another. 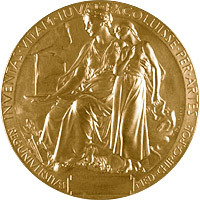 The prize of 8-million-Swedish-krona ($1.2-million USD) was divided evenly to Randy W. Schekman, age 65, at the University of California at Berkeley; James E. Rothman, age 63, at Yale University in New Haven, Connecticut; and Thomas C. Südhof, age 58, at Stanford University, for their discoveries of machinery regulating vesicle traffic, a major transport system in cells. 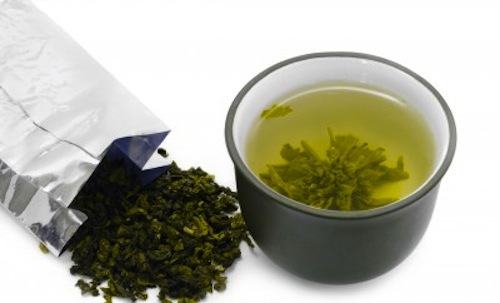 Green tea has been enjoyed for centuries, and its benefits have been widely touted. It is reputed to help treat many of modernity’s worst ills, including cancer, heart disease, diabetes, HIV infection, and neurodegenerative diseases. New work done in China furthers the observations that green tea can help prevent neurodegeneration. The report, published in Molecular Nutrition and Food Research, starts to elucidate the mechanism by which it does so . Scientists have long debated whether Alzheimer’s disease starts in separate regions of the brain independently and at different times, or if it begins in one region and then spreads. Data from researchers at Columbia University Medical Center supports the latter model, showing that abnormal tau protein — a key feature observed in the brains of patients with Alzheimer’s disease — propagates along anatomically connected networks, between connected and vulnerable neurons. The study was published earlier this month in the online journal PLoS ONE . Prize4Life, a non-profit organization dedicated to accelerating the discovery of a cure for Amyotrophic Lateral Sclerosis (ALS) by offering incentives to drive innovation, today announced that Dr. Seward Rutkove, Chief of the Division of Neuromuscular Disease at Beth Israel Deaconess Medical Center and Associate Professor of Neurology at Harvard Medical School, has received the $1 million dollar Prize4Life award for the discovery of a new ALS biomarker. Rosetta Genomics has announced that it has signed two new agreements for the development and validation of microRNA-based diagnostics for various indications related to its Gen 3 products. Rosetta Genomics Gen 3 tests focus on cardiovascular indications, neurodegenerative diseases, women’s health and early detection of certain cancers, and are designed to leverage microRNA biomarkers extracted from body fluids. Last week, Genomic Health, Inc. announced that its scientists had successfully used Illumina next-generation sequencing technology to survey expression of the whole human transcriptome and test hypotheses for biomarker discovery in archived tumor and normal breast tissue samples. 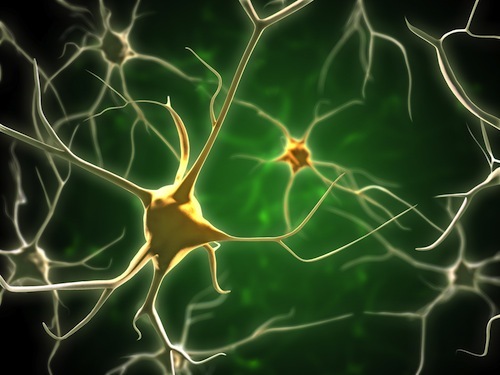 The Spinal Muscular Atrophy (SMA) Foundation and Rules-based Medicine (RBM) have reached the first milestone in a program to develop a panel of plasma protein biomarkers for SMA using RBM’s Multi-Analyte Profiling (MAP) technology platform. 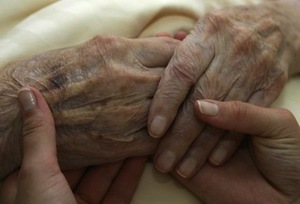 As we get older, and care for our parents as they get older, the most feared age-related conditions we face are arguably Alzheimer’s disease and cancer. But researchers at Washington University have just shown that at least we don’t have to fear both of them at the same time; they recently published a paper in the medical journal of the American Academy of Neurology demonstrating that people with Alzheimer’s disease have a significantly reduced risk of being hospitalized for cancer . This potential link between these two diseases had been noted for some time, but in this study researchers devoted considerable effort to overcoming the limitations in their previous work. Firstly, they used a population-based sample of 3,020 people older than 65, so their results were not limited to a particular geographic area or socio-economic segment of society. Secondly, they used hospital records rather than informant reports to quantify cancer diagnoses. This controlled for the risk that people with Alzheimer’s disease may be less likely to report their cancers than those without. And lastly, to ensure that they were not seeing less cancer in Alzheimer’s patients because physicians were less likely to look for cancer in people with dementia, or because people with dementia simply die earlier than those without it and thereby avoid cancer, they also looked at cancer risk among people with vascular dementia. Vascular dementia is not neurodegenerative in origin; rather, it results from brain damage due to vascular pathology.